Even though Google has been working hard of late to keep Android users protected from various types of malicious, battery-draining, and deceptive apps, it seems one shockingly widespread practice of misleading Play Store shoppers has somehow managed to escape scrutiny, collecting tens of millions of downloads in an arguably dishonest manner. 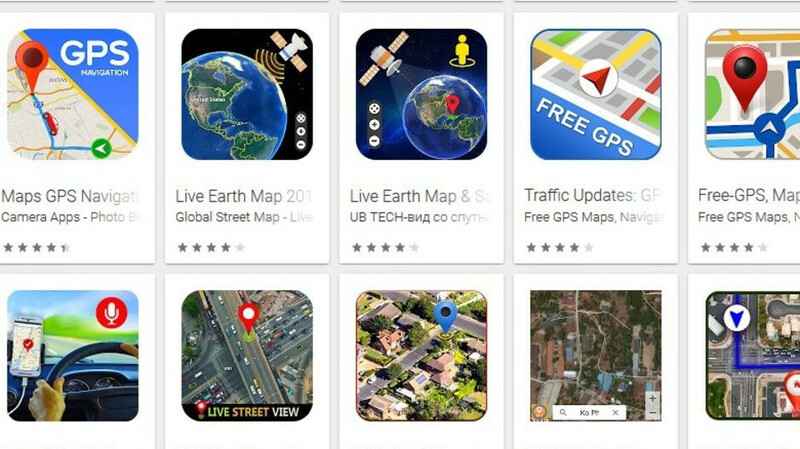 According to ESET malware researcher Lukas Stefanko (via ZDNet), “over” 15 fake GPS navigation apps flagrantly violate Google rules by posing as “full featured” navigation products when in fact they just “misuse” the search giant’s own mapping technology without providing any extra value for unsuspecting users. Basically, popular apps with generic, often convoluted names like “Maps & GPS Navigation: Find your route easily!”, “GPS Maps, Route Finder - Navigation, Directions”, and “GPS, Maps & Navigation” appear to simply “borrow” the Google Maps API (Application Programming Interface), presumably without Google’s approval or knowledge, running ads on top of that and little else. The goal is pretty simple, generating “easy money” through ad revenue, and for some reason, Google is letting that happen, turning a blind eye to the consequences of this bizarre phenomenon. Not only is the company losing loads of potential users of the legitimate Google Maps app (which, by the way, is pre-installed on Android devices), with the GPS navigation experience no doubt harmed by ads for said users of these shameless Google Maps clones. While the Google Maps policy is theoretically crystal clear in situations like this, stipulating third-party developers are prohibited from creating products or services with features that are “substantially similar or that re-create the features of another Google product or service”, Lukas Stefanko claims the fake GPS navigation apps he tested were reported a month ago with no effect. By the way, Stefanko discovered these 15+ apps in the million+ install club, and there’s no way to know how many others are lurking in the shadows, aiming to generate easy ad revenue with zero effort or value for users. Technically, this is not a malware situation, but it’s definitely something that should be discouraged as soon as possible. Well not surprising, 90% play store apps are junks just like android phones, only 10% are not so bad. Haha, there is he again, trolling away, not contributing at all. So tell me, how would you know 90% is junk if you never laid hands on a filthy Android phone. Instead of trolling on Android articles, you are better off investing time in an English course and come back when you know how to come across as a troll with moderate intelligence. Blah, Blah, blah iOS App store scam, blah, blah, safe, blah hacker, iCrap blah blah.